I was chagrined. I didn’t have a satisfying answer and I wanted a great answer. What as a school were we doing to honor, celebrate and advance the Martin Luther King Jr. holiday? Of course, there has always been fabulous individual teachers who have led their class, throughout the year, in meaningful lessons on Dr. King, civil rights, anti-bias work, social justice, and other related topics. But I was thinking about us as an institution. And I just didn’t have a great answer. At the beginning of the school year, I asked Mr. Gabe and Student Senate to discuss and develop new programming around two specific holidays. I asked that they focus both on community building within Assets and our responsibility to our greater community. The first result was the fabulous Thanksgiving celebration and food drive that students planned. The other was Martin Luther King Jr. Day. I am so proud that the Senate students decided the best way to move forward this year was to march in the annual parade from Magic Island to Kapiolani Park. 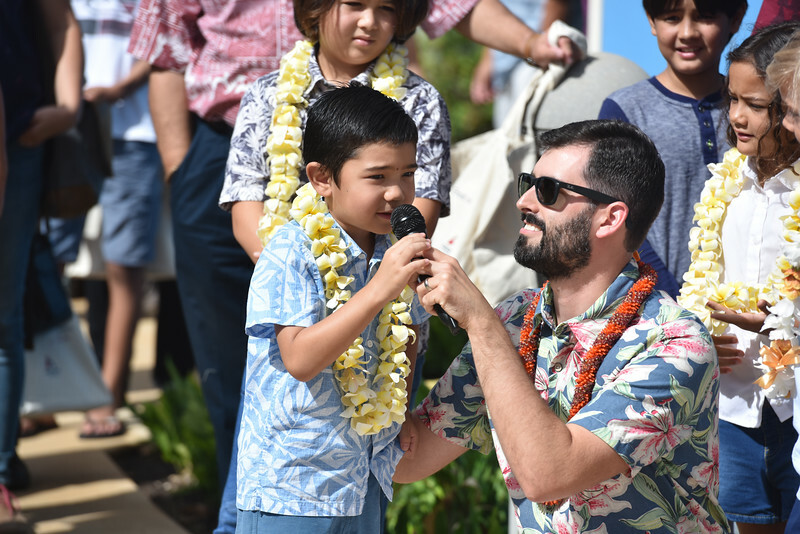 Mahalo to Mr. Gabe, Student Senate, students, siblings, parents, friends and teachers who came out on an early Monday morning to march together and serve as ambassadors for peace, unity and Assets School. Mahalo to those who could not attend but sent well wishes. We hope to see you next year at whatever thoughtful activities Student Senate comes up with next. We were fortunate to be placed directly in front of the Navy Marching Band, who provided a patriotic soundtrack to our time together. When I learned of our march position Monday morning, I smiled wide. I immediately thought of a beautiful sermon Dr. King gave exactly two months before he died. At the Ebenezer Baptist Church, Dr. King warns about how we all have a “Drum Major Instinct” to be recognized – to “lead the parade.” In closing, he tells the congregation what he would like his eulogy to include. That’s my hope for our students. Not just that they know Dr. King and can articulate his views on poverty, war, racism and economic justice; but rather, that they are informed and committed to taking virtuous action on the issues that they care about and that make our world more peaceful and just. That’s what democratic citizenship looks like. That is the challenge to all of us in truly honoring Dr. King’s legacy. This is a fantastic way to celebrate Dr. King’s life and legacy! I love to see students, teachers and administrative staff commemorating Dr. King’s birthday with a “day on” instead of a “day off”. 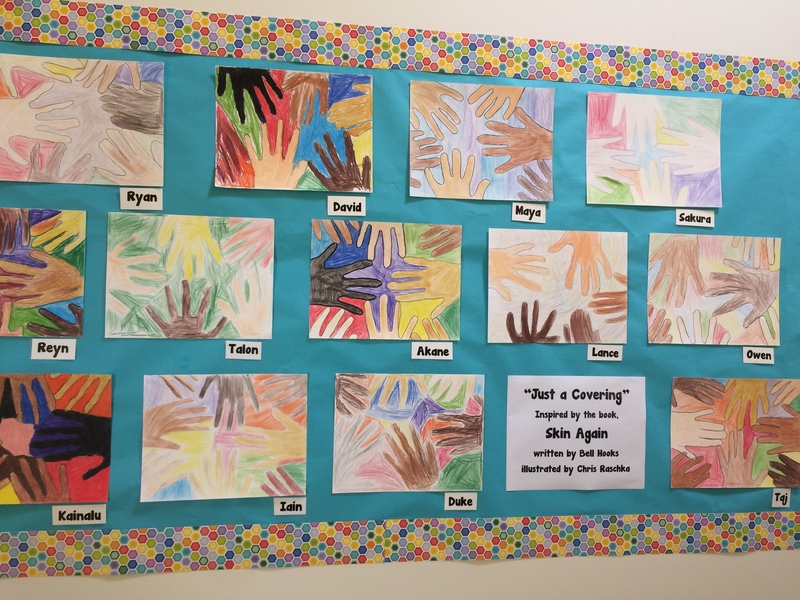 It is so exciting to see that the students at Assets School are developing belief systems based on inclusion, diversity, peace, justice and freedom for all people. I am glad to see so many young activists in the making! The National Civil Rights Museum applauds your efforts and we look forward to connecting with you soon!